Spin Class at Washtenaw Community College (Oct 29) is full. If you cannot attend please be sure to let Maggie know right away as we have a wait list. Attendees have received class information. MQG Charity Quilt is in progrss, Dorie will be quilting it and then it just needs binding. Thanks to all who participated! MQG is having a mini-quilt swap starting October 1 with ship due by February 1st. They will also have swap meet-up at QuiltCon but you do not need to attend in order to participate in the swap. The two Jackie's and others have put together some charity quilts that you can 'check out' and work on a lot or a little (or all if you are so inspired!). The kits include fabric and a pattern. Please fill out Jackie McGregor's sign up sheet if you take a kit. Reminder of sizes: Veteran's and Motts get the 3' x 4' size and Ozone house gets twin and should be geared towards teens. Next month please bring pillowcases which we will give to Ozone (again think pre- to teen+ for likes). Nominations - reminder that we will be entertaining nominations for officers at October meeting with elections at the January meeting. Please talk to a Board member if you are interested and have questions. Also, see our by-laws for a description of officer duties. 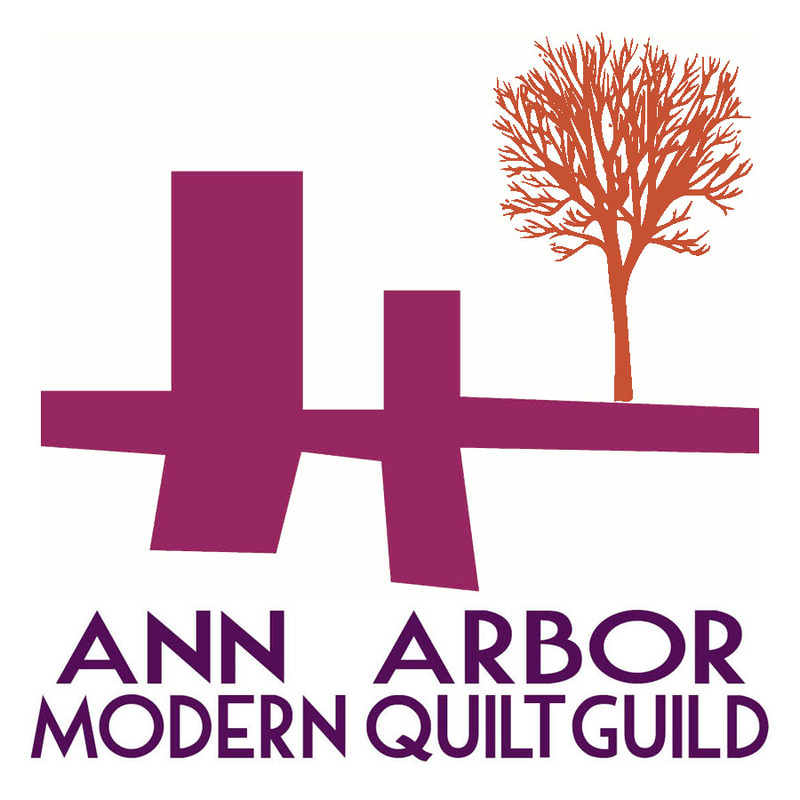 Next month's skill school will be a discussion of how various members make labels (Rossie: screenprint; Kim: hand embroidery; Kathy: machine embroidery; Maggie: Spoonflower). Let Maggie know if you have another technique that you'd like to share. Next month (October) is Halloween Yankee Swap so bring your halloween themed mini wrapped. Crazy Mom Quilt Class – full, with wait list, Maggie will send out info to the people in the class. If you are in the class, you will need to buy the book, it’s around $18 on Amazon (also available for Kindle). The Friday night trunk show is at the Schoolcraft college in Garden City. We are going to maybe arrange to have dinner before the trunk show, and there will be more info on that later. Charity blocks were turned in for QuiltCon guild quilt, to be put together at the Sew-In 9/10. AQS Grand Rapids – some people talked about what they liked when they went. Rae class: women’s clothing pattern. $45 + cost of pattern, full day, Ruby or Gemma probably. Paying to have quilts quilted, seems favorable, no one has concerns. Solids – donate to the charity quilts, large pieces for kits (or purchase?) Asking for anyone to donate quilt kits if anyone has them sitting around not using them. Next month – discussion of gift giving, tips gift ideas, Brenda Rowley Gray will demo gift bags. Harvey – national is waiting for Houston guild to ask for help before starting. Elections nomination start next month, please think about joining the board, ideally we’d like to turn over 1-2 board members. October will be a Halloween swap. Details coming.